Raji Manjari Pokhrel grew up in Kathmandu, Nepal. Her background lies in community organising and mental health and her passion is to integrate the two at the intersection of gender. Raji loves to do collaborative work using narrative approach and somatic awareness to envision alternative ways of practicing psychosocial therapy. 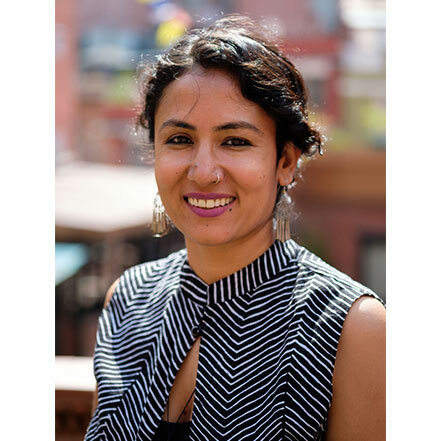 She is forever grateful for her education and know-how of the world to the Nepali speaking domestic and elder care workers’ community in Queens, New York, who taught her to see emotional labour otherwise rendered invisible in everyday life.